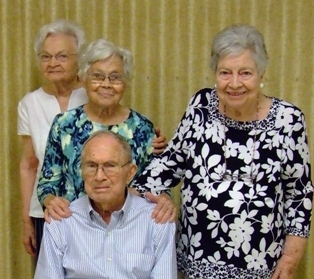 Of the original ten Cliff-Hassie Dawson children, four are surviving: Ruhl Dawson, 97, Sunie Nell, 95, Rebecca (Becky) Barnett, 93 and Roberta (Bert) Dellinger, 89. 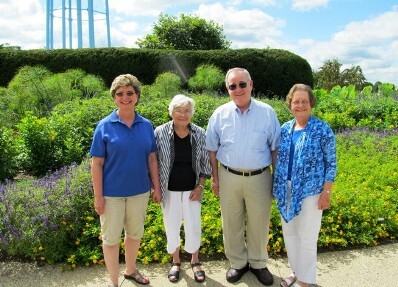 Ruhl and Becky live at Watkinsville, Becky on the Old Homeplace; Sue Nell lives in Gainesville, FL and spends time with family in Hiawassee and Birmingham; and Bert lives in Lexington, Kentucky. 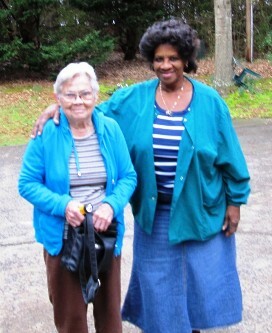 Bert lived in Watkinsville until about ten years ago when she moved to be near her daughter, Colette. The family history is intertwined with the history of Union Christian Church at Watkinsville, GA. All have attended church there. 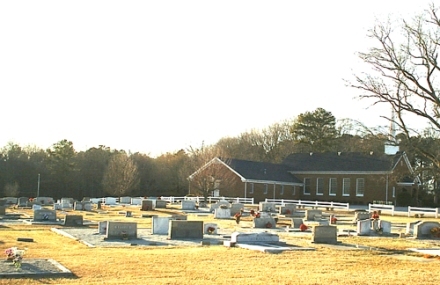 The husbands of Sue Nell, Becky and Bert are all buried at Union Church Cemetery along with parents, siblings and other Dawson Relatives. The surviving siblings try to see each other several times a year and always at the Family Reunion. They talk regularly by phone. 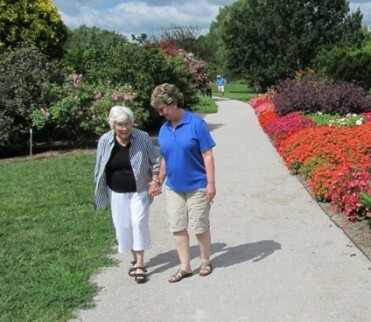 Age and health issues have become more challenging for all of them. This year Bert could not attend the Reunion because of some problems with her legs and walking. She is recovering from operations on the left leg and it is bandaged and has to be propped up. She fell and injured her right leg about mid-June. Her ability to get around has been severely limited in recent months. Aunt Bert has only left her apartment on few occasions this year. She is improving. Aunt Becky spends nights with relatives and the day with her caregiver, Flo Lindsey, at her house and wherever they want to go. Flo and Aunt Becky are together most of their daylight hours. Aunt Becky has wanted to “go see Bert” since the reunion in late July. This past weekend, Betty and I arranged to take her to Lexington, Ky. We had a great weekend and Bert and Becky were all smiles at seeing each other and ‘catching up”. It had been over a year since they saw each other. 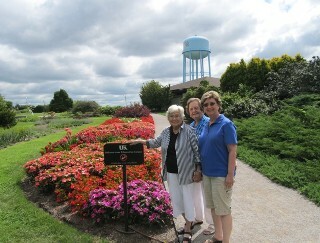 They talked to Sue Nell and her family by phone and we brought pictures of the visit for Ruhl & Charlotte. Spending time with seniors and relatives makes one realize that the important things in life are not fortunes, possessions, positions, titles etc. In life friends come and go but close family is mostly there and loves one in spite of the bumps and grinds of life. Memories and experiences with close family and friends are what we all value in life as we approach the “Fourth Quarter” of life. Persons who have family history, bonds and memories to share are very fortunate.